AT&T to Customers: Would You Be Interested in the Galaxy Nexus? Well this is very interesting. 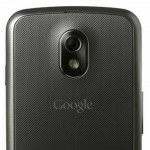 AT&T took to Google+ to measure consumer interest in the phone that everyone outside of the UK have been waiting for – the Galaxy Nexus. On a post completely unrelated to the Galaxy Nexus, they were swarmed with questions about whether or not they’d get the phone, prompting the carrier to respond with a question – how many of their Google+ fans actually want the device? 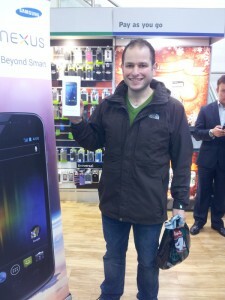 We mentioned Alex Ioannou in our post detailing the official launch of the Samsung Galaxy Nexus in the UK. He looks mighty happy to have his new smartphone in the above picture tweeted out by Samsung mobile. However, after getting home and powering up his new toy, Alex’s joy quickly turned to frustration. 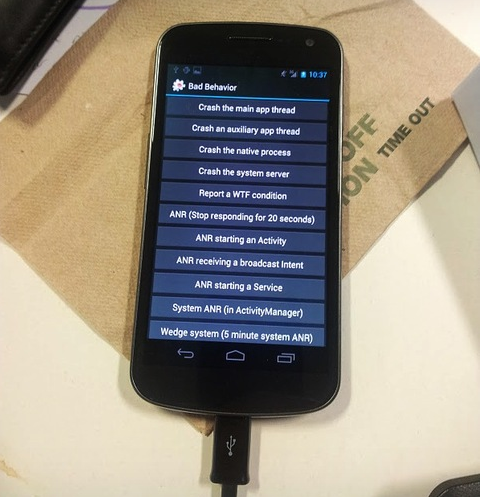 His Galaxy Nexus came loaded up with an older Android 4.0 developer ROM, complete with debug options including the ability to “Report a WTF condition.” Alex also had trouble adding his Google account to the device, leading to a trek back to the store where he currently awaits a replacement. The incident seems isolated as there have been no other reports of such software problems. Perhaps Samsung had a special device set aside for the first person to buy the Galaxy Nexus and that device somehow slipped through the cracks without getting a final software refresh. We might never know the why, but those planning to buy the phone today shouldn’t worry about similar OS issues just yet. The day many have been waiting for is here…if you live in the UK, that is. The Samsung Galaxy Nexus is now available for purchase and the phone’s landing page has been updated to reflect as much, providing links to snag the phone via Phone4u, Three UK, Carphone Warehouse, Vodafone, and O2. 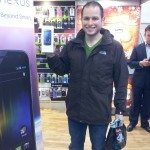 Samsung tweeted out a photo of the first customer to pick up the brand-new Android 4.0 smartphone, one Alex Ioannou. Google’s Galaxy Nexus YouTube channel has also been updated with a new minute-long ad and plenty of “getting started” videos highlighting the major features of the phone. If you have been lusting for this you will want to check them out; you even get a glimpse of Verizon’s LTE version of the device. 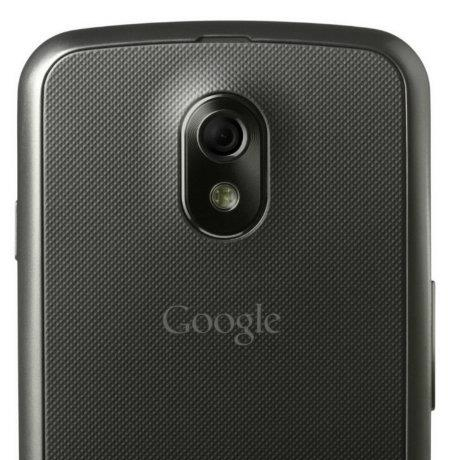 So UK readers, who is going out to pick up the Galaxy Nexus today? Anyone already have the world’s first Ice Cream Sandwich handset? Motorola Xoom 2 doesn’t seem that appealing for a name that defines a tablet on Verizon, so it appears that the device will get a rebranding. Pocketnow has the scoop on this and they’re claiming that the new tablet and its 8.2 inch Media Edition will be dubbed Xyboard, as bizarre as that may seem. The info actually comes from a leaked Verizon stock system grab, that indicates the new Honeycomb slates are heading to the carrier’s portofolio. Apparently, the name Droid is also involved here, but Xyboard is a very strange choice. Everything about Motorola has been Droid over the past years and this series has brought them success, but the Xyboard is way too sci-fi to make it as a big name. An indication that this is the truth is the fact that Verizon trademarked Xyboard a bit over a month ago with the US Patent Office, so there you have it folks, Motorola is ready for the rebranding of the Xoom 2. These tablets will still bear this name in the UK at least and in case you’re not familiar with them, know that they’ll be running Android 3.2 on 1.2GHz dual core CPUs, packing 1GB of RAM and 16GB of internal memory. 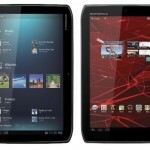 What separates them is the diagonal size: 10.1 inch for the standard Xoom 2 and 8.2 inch for the Media Edition. Our friends at Gartner have just released their smartphone sales report for the third quarter of 2011. Android was an absolute stud this quarter, remaining the far and away leader gobbling up 52% of the global market share. Considering they held just 25% the same quarter a year ago, I’d say that’s pretty good upswing. RIM is still holding on with 11%, not a huge decline from the same quarter last year but it’s a decline nevertheless. And then way below all those guys are Samsung’s Bada with 2.2% and Microsoft with a lowly 1.5%. Microsoft would have you believe that they’re not doing too bad at all, but numbers don’t lie. I suppose this is why they’ve been putting a lot more emphasis on cashing in on Android as of late. As for OEMs, Samsung was the top device maker with 24 million smartphones sold, a large margin over the iPhone. It’s important to note that iPhone 4S sales are not being included here as it launched in Q4. We expect Apple to dominate the charts when Q4 figures are all wrapped up. With predictions seeing Android taking up more than half of all smartphone market share (period, not sales by quarter) by 2013, it looks like it is headed in the right direction. Read on for other highlights. Worldwide sales of mobile devices totaled 440.5 million units in the third quarter of 2011, up 5.6 percent from the same period last year, according to Gartner, Inc. Non-smartphone devices performed well, driven by demand in emerging markets for low-cost devices from white-box manufacturers, and for dual-subscriber identity module (SIM) devices. Sales into the channel reached 460 million units. Gartner analysts said this increase was because of inventory build-up in the channel partly because of the shipping of new devices late in the quarter but mostly to prepare the channel for the holiday season. 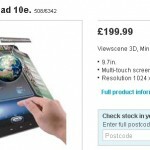 Gartner expects most of the build-up to be sold by the first quarter of 2012. “Our forecast for the end of the year remains broadly in line at a worldwide level as regions such as Asia/Pacific and the Middle East and Africa make up for weaker performance in the Western European market,” said Annette Zimmermann, principal analyst at Gartner based in Munich. Smartphone sales to end users reached 115 million units in the third quarter of 2011, up 42 percent from the third quarter of 2010. Sequentially, smartphone sales slowed to 7 percent growth from the second quarter of 2011 to the third quarter of 2011. Smartphone sales accounted for 26 percent of all mobile phone sales, growing only marginally from 25 percent in the previous quarter. Despite a drop in market share, Nokia continued to be the worldwide leader in mobile device sales as it accounted for 23.9 percent of global sales (see Table 1). The second quarter of 2011 was the low point for Nokia, and the third quarter brought signs of improvement. Dual-SIM phones in particular, and feature phones generally, maintained Nokia’s momentum in emerging markets. Heavy marketing from both Nokia and Microsoft to push the new Lumia devices should bring more improvement in the fourth quarter of 2011. However, a true turnaround won’t take place until the second half of 2012. Samsung became the No. 1 smartphone manufacturer worldwide as sales to end users tripled year over year to reach 24 million; sell in was high as the channel built inventory. Samsung was the No. 1 smartphone manufacturer for the first time, ahead of Nokia in Western Europe and Asia. Gartner attributes this to the strong performance of Samsung’s Galaxy smartphones, which now cover a broad range of prices, and a weaker competitive market. Analysts expect more competition in the fourth quarter of 2011, not least because sales of the iPhone 4S, 4 and 3GS will capture share from Android manufacturers. Apple shipped 17 million iPhones, an annual increase of 21 percent, but down nearly 3 million units from the second quarter of 2011 because of Apple’s new device announcement in October. Gartner believes Apple will bounce back in the fourth quarter because of its strongest ever preorders for the iPhone 4S in the first weekend after its announcement. Markets such as Brazil, Mexico, Russia and China are becoming more important to Apple, representing 16 percent of overall sales and showing that the iPhone has a place in emerging markets, especially now that the 3GS and 4 have received price cuts. The Android OS accounted for 52.5 percent of smartphone sales to end users in the third quarter of 2011 (see Table 2), more than doubling its market share from the third quarter of 2010. More information is available in the Gartner report “Market Share: Mobile Communication Devices by Region and Country, 3Q11,” which is available on Gartner’s website at http://www.gartner.com/resId=1847315. Droid XYBoard: New Name For Verizon’s XOOM 2? Say it ain’t so. Please tell me that Motorola/Verizon aren’t going to rename and rebrand the second edition of their XOOM Android Table to the “Droid XYBoard”. Based on compelling evidence from PocketNow, and considering the company recently applied for the “Xyboard” trademark, one has to think it’s a possibility. Hopefully they read Phandroid and decide to name it something much cooler. Or better yet, let Phandroid readers pick a name. 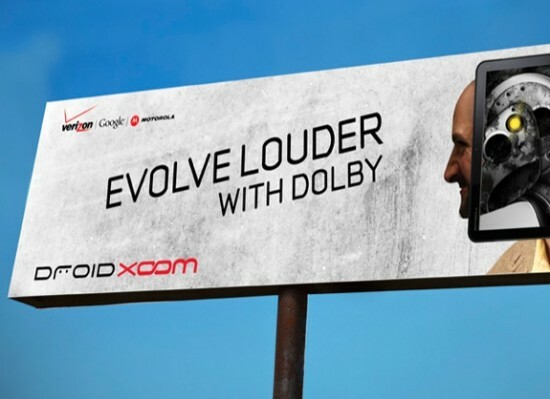 We’re hoping the following billboard provides proof it will be called the “Droid XOOM” as an upgrade to simply “Motorola XOOM”- any of this XYboring name would be unforgiveable. But more likely this is an old billboard for the original Motorola Droid XOOM before they hacked off the Droid branding. The XOOM 2 has been confirmed for the UK and Ireland and sports a 1.2GHz dual-core processor rocking Android 3.2 honeycomb. It will be even more rocking when it’s gets an ICS upgrade, one would assume, but details on that haven’t been provided. 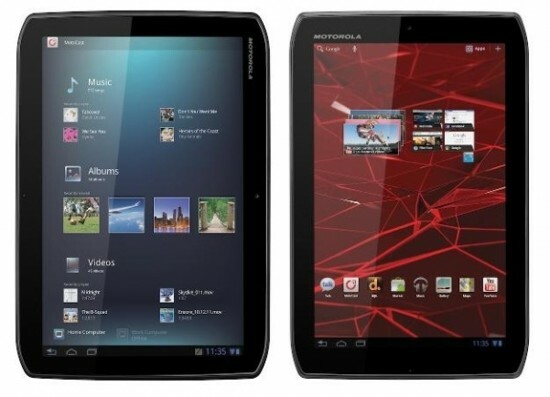 So if YOU could name the next Motorola/Verizon tablet… what would you name it?